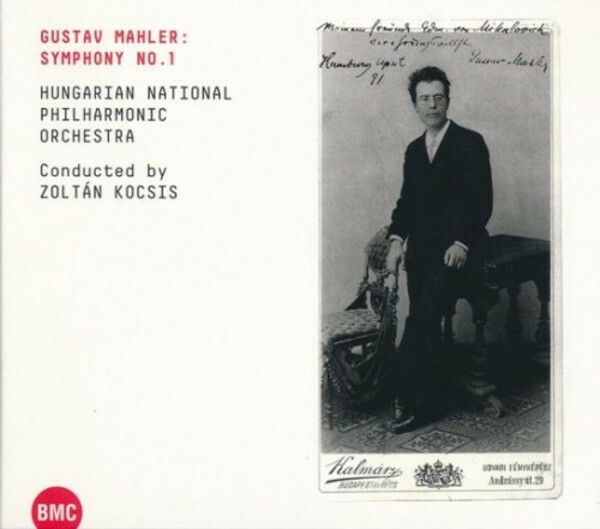 The world premiere of Mahler’s Symphony No.1 took place on November 20, 1889 at the Vigadó Concert Hall, Budapest, conducted by the 29 year old composer, and performed by the Budapest Philharmonic Orchestra. The symphony originally consisted of five movements, but Mahler made many major revisions and alterations in the following years, until the piece reached its definitive four-movement form. It was this version, performed in Berlin in 1896, which eventually became known world-wide. Though the score for the world premiere has remained lost to this day, a subsequent five-movement version is still in existence. The Blumine movement of this version was inserted as the second movement in the final version, and it is in this form that Zoltán Kocsis conducted the piece on this CD.